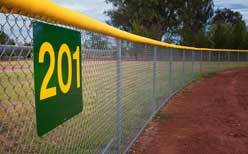 For fencing East Peoria, IL relies on Hohulin Fence. Since we first began, Hohulin Fence has provided high quality fencing products. This includes our railings, gates, paneling and more for the people and businesses of Central Illinois. As a family-owned business, our goal has always been to offer exceptional products. We are also proud to provide outstanding service. This is because it’s the Midwest way. Consequently, it’s also the Hohulin way. Therefore, you can count on Hohulin Fence to provide the highest level of satisfaction and service, and for fencing East Peoria, IL can trust. While looking for reliable fencing products for your business or home, don’t forget about Hohulin! We offer a number of commercial and residential fencing options. In addition, we serve residential properties as well. For a reliable company in all different types of residential fencing, gates, railings and more, Hohulin is the name to trust. We have been helping Midwest homeowners with their fencing needs for over a century, and we can help you too! 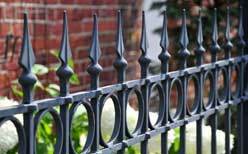 When it comes to fencing East Peoria, IL can trust the reliable name in fencing. They trust Hohulin Fence. Call us at 309-316-1008 or contact us online today!